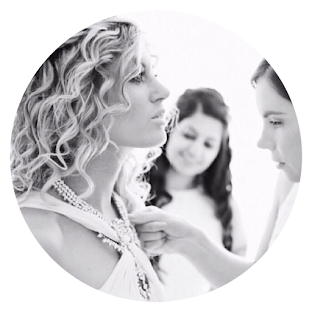 At Bridal Editor the security of your data is a priority for me as a small business, and I am committed to respecting your privacy rights and complying with the new GDPR data regulations that have come into force in May 2018. I also want to make sure you understand what data I collect from you and how I use it. With your consent: to contact you electronically about offers, news, services and products regarding Bridal Editor via MailChimp, a GDPR compliant newsletter service. To provide you with a Bridal Finder email response. To share offers from carefully selected partners that I believe you will be interested in. With your consent – to mail out Bridal Editor competition prizes, products, news or information. Please be aware that in order to make some of Bridal Editor’s services available to you I may need to share your personal data with some of my carefully selected, GDPR compliant service partners. These are detailed below:With your consent – in order to deliver the Bridal Editor newsletter and make this service available to you, I need to share your data with our service partner: MailChimp. MailChimp is a GDPR compliant company and you can find out more information regarding MailChimp and their data storage here. My website, bridaleditor.com uses another third party service called pipdig.co. pipdig is fully compliant with the new GDPR data regulations. I also use a third party pipdig cookie plugin. My website bridaleditor.com uses and is built with the third party service WordPress and hosted with SiteGround. I use the traffic stats tool, Google Analytics in order to create a tailored website for you. Bridal Editor’s data retention for Google Analytics – that is associated with cookies, user identifiers, or advertising identifiers – is set to 38 months. If you do not interact with the site: bridaleditor.com during this period of time, your data will automatically be wiped from the system. I store your data in two secure locations and it is fully encrypted with limited and password protected access by only the relevant personnel. Making use of the “unsubscribe” link located at the bottom of my newsletter emails.